Kit? So a kit car, like Ultima? I do not know if I would have the motivation to build and finish the car. Probably the best car I have ever driven! Bags of personality, speed and handling! Are you going by the top speed on the speedometer? If so, that isn't accurate. Speedometers are more optimistic as speed increases. 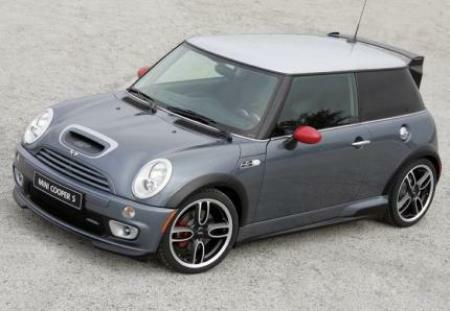 It is 218hp (euro) the JCW model is 208hp, but anyway mine did 191hp at the wheel. An acquaintances' dynod 187hp. The problem with it is the hard run-flat tyres. They should have put the Michelin Pilot Sport Cup tyres. This car should be much quicker based on it\'s power to weight ratio.. It\'s either not making 215hp or the stats are wrong. A car with a power to weight ratio of 12:1 (approx. 3MPS) shouldn\'t take 16.1 seconds to go from 0-100mph. I don\'t think its drag cof and gearing is that horrendous. my supercharged fiesta st will eat this. still not spent that much buying and tuning my car..tops out now at 150mph soon to be 157.
very nice car though...good all round car..rare,fast,looks the part nice. 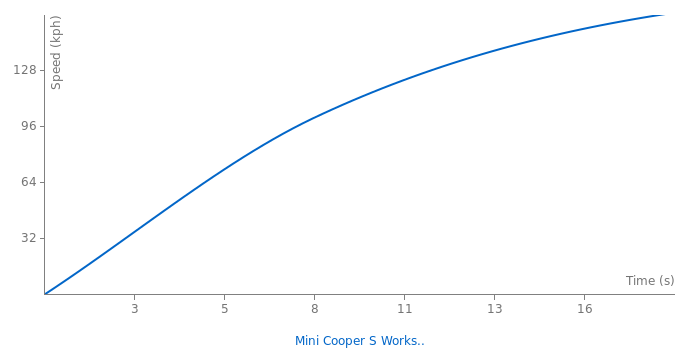 0 - 60 is 6.5 to 6 seconds tested.